To provide customers with personalized custom service. The original optimization of magnetic circuit system (UMP), the vehicle torque to enhance 10%, more powerful power. The application of electromagnetic simulation technology, and an increase of 10 Magnets, compared with other series cars increase mileage by 18%. The motor cover with U-shaped ribs, heat dissipation, the maximum power release when the temperature is lower than other motor 12 ℃. The use of double seal seal to increase the shaft to bring super-waterproof performance, three days immersion, dripping impermeable. The use of imported Hall, to strengthen the protection of the Hall element, the quality is more stable and more durable. To optimize product design, reduce power consumption by 9%, improve product anti-overload capability, significantly extend the service life, to ensure product reliability. The introduction of automation equipment, the use of 5S production system, enhance the accuracy and consistency of parts of the sound and detection, creating perfect quality. 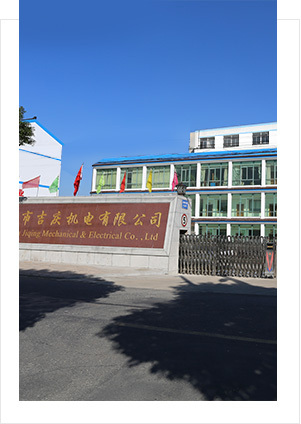 Changzhou Jiqing Electrical & Mechanical Co. Ltd is a high-tech enterprise integrate research, development and manufacture the hub motor for electric motorcycle, electric bicycle and intelligent robot. The factory area is about 10000 square meters. The geographical position is superior. The transportation is convenient. Only 2 km from the Changzhou airport and Shanghai expressway entrance.